Medical marijuana can be used to safely and effectively treat a wide variety of conditions – at least, when legislators allow it to. In a devastating blow to countless military veterans and trauma survivors, the state of Colorado has rejected a proposal which would have allowed PTSD patients to obtain access to medical Cannabis. Colorado’s list of conditions which are eligible for medical marijuana has not been updated since it was first created. PTSD patients in Massachusetts can qualify for Cannabis therapy. In accordance with Section 2(C) of the Act for the Humanitarian Use of Medical Marijuana, eligible conditions include a slew of explicitly designated conditions (e.g. cancer, glaucoma, HIV/AIDS), with an additional provision permitting the treatment of “other [debilitating] conditions as determined in writing by a qualifying patient’s physician” – for example, post-traumatic stress disorder. As of July, 2015, eight other states also make PTSD an eligible condition: Arizona, California, Connecticut, Delaware, Maine, New Mexico, Michigan, and Oregon. The residents of Colorado are not as fortunate. 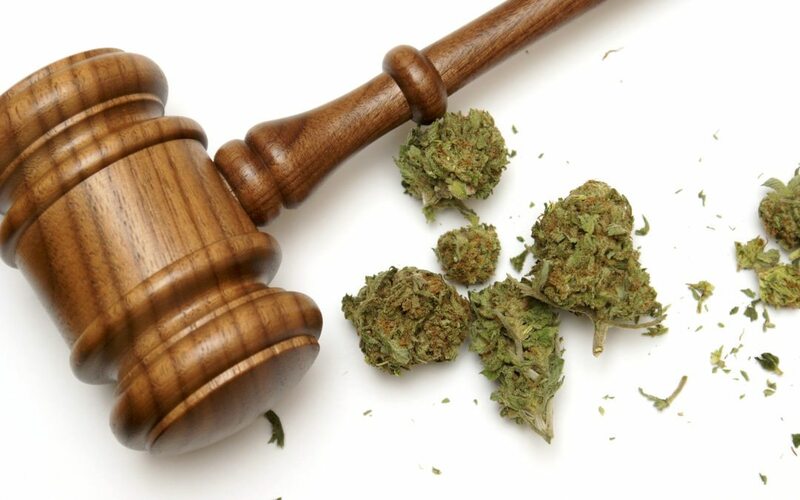 It seems ironic that Colorado legislators would require greater “scientific information” before making a potentially life-saving medical treatment available, when recreational marijuana – that is, marijuana used purely for entertainment purposes – is already perfectly legal. If a healthy consumer wants to purchase marijuana just to treat themselves to a fun experience, no legislation blocks their path. 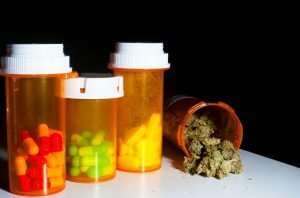 If a PTSD patient desperately needs to purchase marijuana to manage debilitating medical symptoms, they are out of luck. Of course, there is nothing morally or medically wrong with the responsible use of recreational marijuana. Nonetheless, this blatant double-standard illustrates a gross injustice against the PTSD patients of Colorado. Similar PTSD initiatives have already been rejected by Colorado in the past. However, the Board’s decision still comes as something of a surprise. The Board’s vote directly contradicts recent recommendations issued by Dr. Larry Wolk, who serves as executive director and chief medical officer of the Colorado Department of Public Health and Environment. “We don’t want people to suffer as a result as a result of not being able to access [the registry] honestly,” Dr. Wolk added. “In my opinion, the board sent a message to [PTSD] patients that they just don’t matter,” said Cannabis Patients Alliance director Teri Robnett following the controversial decision. Many people have the wrong idea about what PTSD truly entails. There’s a common misconception that PTSD is exclusive to military veterans, or that its only symptoms are flashbacks and nervousness. Recurring nightmares, leading to insomnia and chronic exhaustion. Muscle tension and chronic pain. Avoiding places, people, and activities the patient previously enjoyed. Intermittent nausea, increased heartbeat, sweating, and other physical stress responses. Anxiety, clinical depression, and persistent irritability or aggression. Most alarmingly, there is tremendous statistical overlap between PTSD and suicide – particularly among veterans of the U.S. Armed Forces. According to a 2012 Department of Veterans Affairs report, about one in five military veterans who served in Iraq or Afghanistan suffer from PTSD and depression, while the suicide rate among veterans with PTSD is 50% higher than the national average. “We have 22 veterans a day across the country committing suicide,” said Robnett. “It is our brothers and sisters who are committing suicide every day,” said John Evans, director of PTSD advocacy group Veterans 4 Freedoms. “I’m struggling with the science piece,” said board member Dr. Christopher Stanley at the meeting on Wednesday. If you’re worried about a loved one, please don’t hesitate to immediately call one of the helplines listed below. You could be saving a life. If you’re a PTSD patient in Massachusetts, you may be a good candidate for medical marijuana. Medical Cannabis can also help to alleviate the symptoms of conditions including but not limited to chronic pain, arthritis, ALS, MS, chronic insomnia, cancer, glaucoma, depression, anxiety, and HIV/AIDS. To discuss whether medical marijuana could be a suitable treatment option for you, call Inhale MD at (617) 477-8886 today.